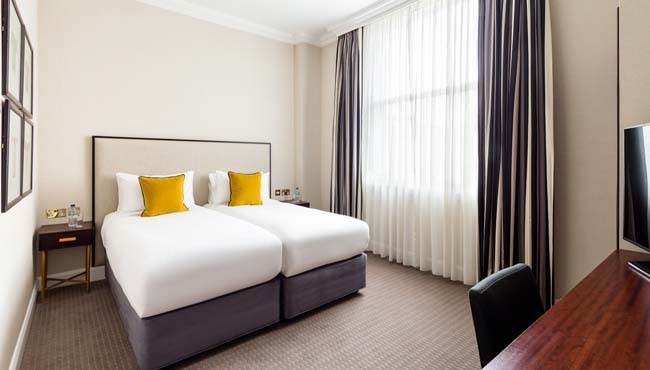 Relax in superior accommodation in South Kensington, near the Royal Albert Hall. 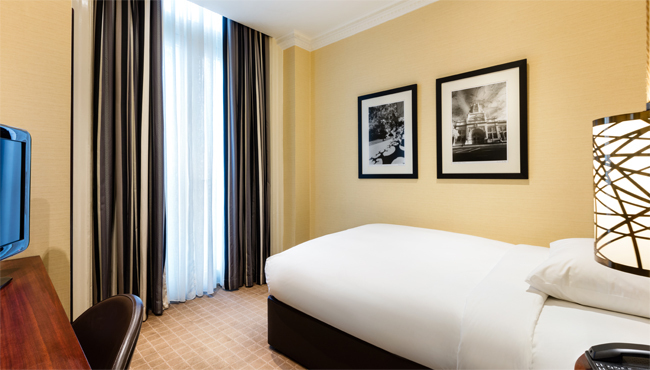 Bedrooms have a warm ambience with rich fabrics and crisp cotton bed linen. 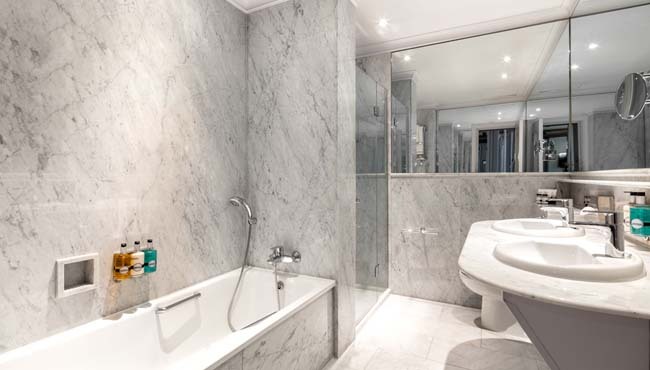 Bathrooms are clad with Sicilian marble and Jacob Delafon bathware for a luxurious feel. All bedrooms have Samsung Smart TVs. Each room also features premium skincare brand REN toiletries. 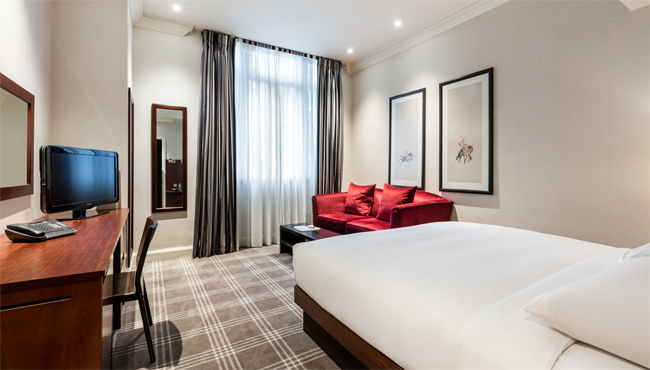 Each room offers an in-room fridge, air conditioning, in-room safe, iron, tea and coffee making facilities and complimentary Wi-Fi access. Access to the bedroom floors is by room key only. 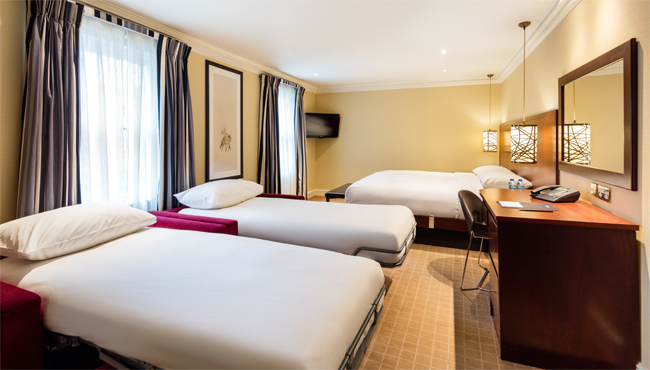 An extra spacious room for single travellers. 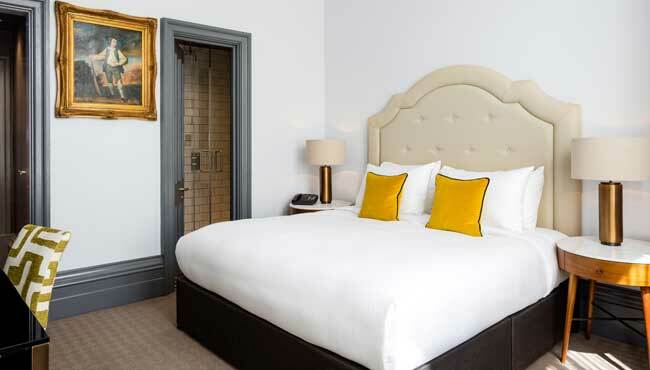 All the great features of our single rooms, but with the added comfort of a larger bed. 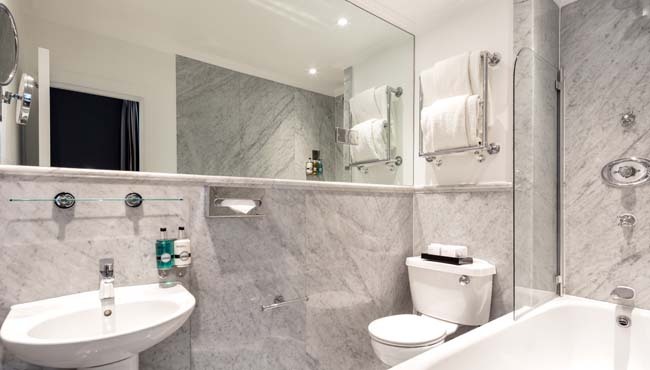 With crisp linen and full size baths, our Superior Singles are stylish, convenient and comfortable. 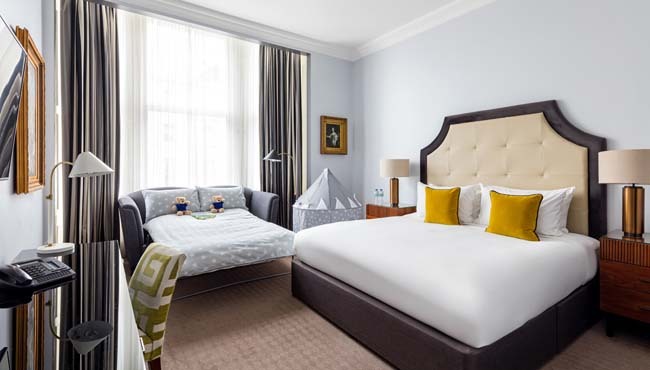 A standard room with a double bed or two single twin beds. 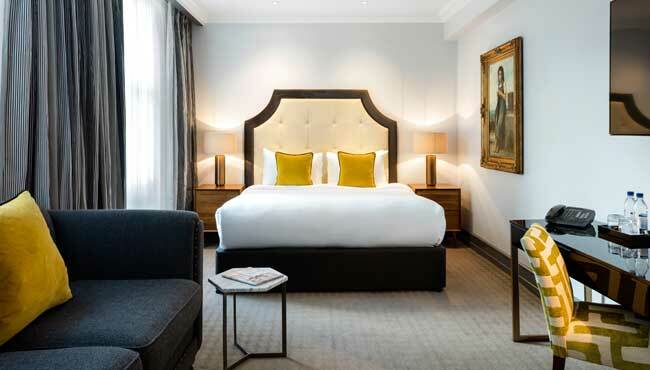 Designed for comfort and convenience, with crisp linen and tactile fabrics. 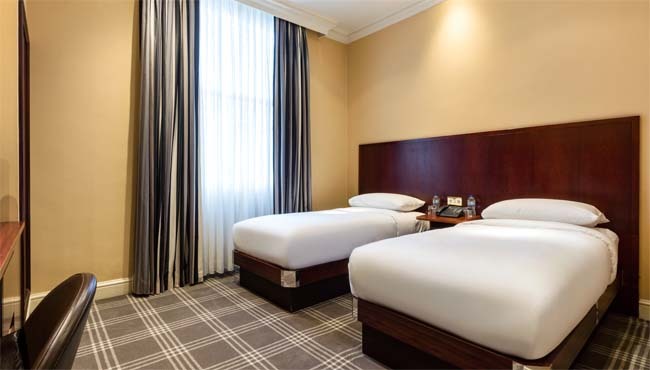 Deluxe bedrooms are more spacious and luxurious than standard bedrooms, with a king size bed. 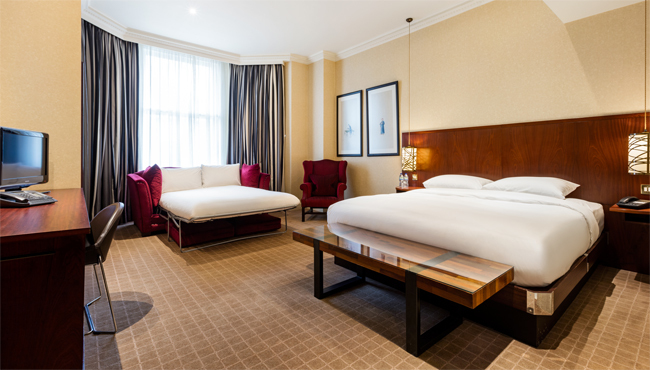 Within each deluxe bedroom you will also find a seating area, large work desk and bathrobes. Enjoy more space and much more besides. 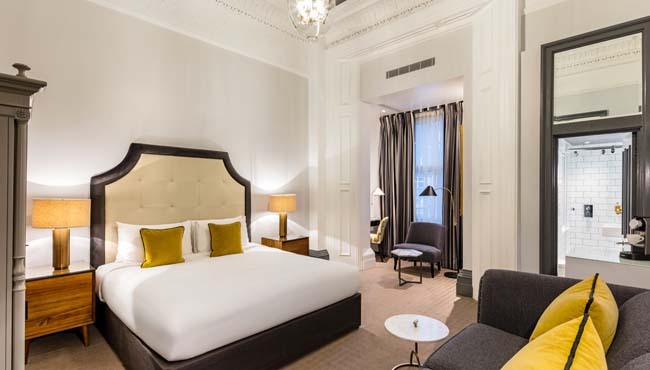 Find out more about the deluxe rooms. 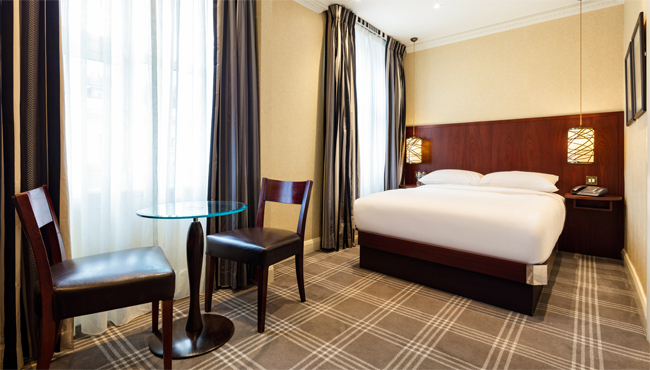 Our Family rooms area ideal for when you need a little more space. They have either one double or two twin beds with a sofa bed, and can accommodate up to 3 people in total. 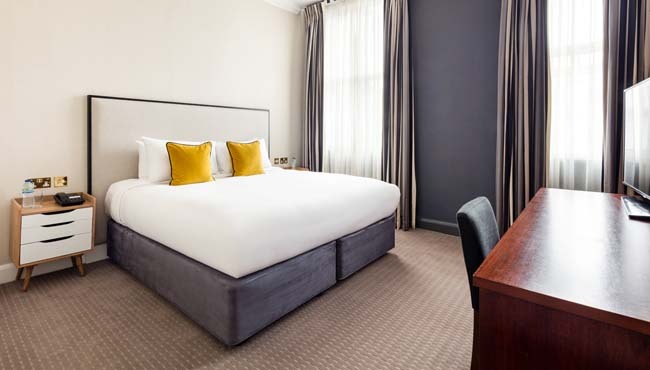 As well as more space, these rooms include complimentary Wi-Fi, tea and coffee making facilities, an iron and in-room safe. Travelling on business? Business Class rooms make doing business a pleasure. Cutting-edge technology is in every room, while interiors bring together a blend of contemporary, classic style and comfort. 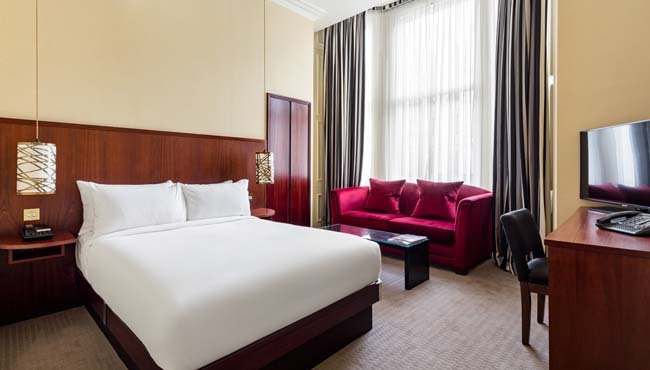 An unrivalled choice of modern meeting rooms and a range of stylish bars and restaurants across London create the perfect environment for all your business needs. 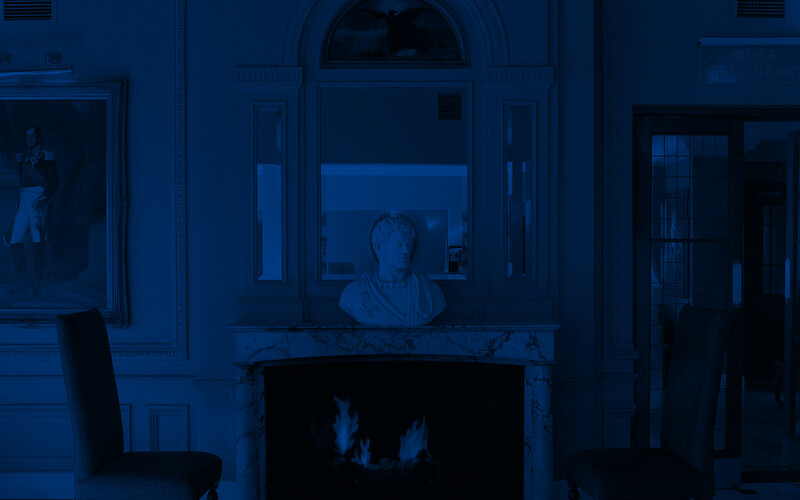 Find out more about Business Class rooms. 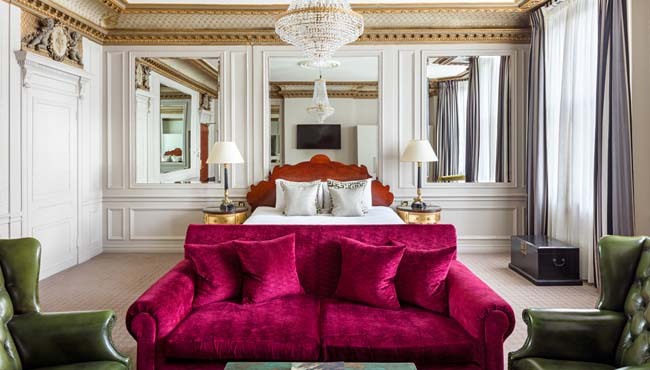 With a king sized bed, beautiful chandelier, large windows and spacious seating area, our Junior Suite offers a luxury stay in South Kensington. 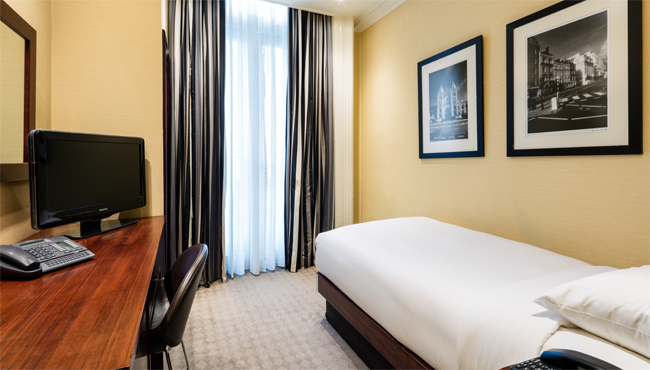 The suite also features a work desk, bathrobes and £15 daily credit to put towards food and beverage. Check-in is from 3.00 pm onwards, check-out is before 11.00 am. Early or late check out is subject to availability and must be requested in advance. Luggage may be left with concierge.